President Barack Obama Thursday publicly rescinded his previously declared proposal for drawing down the US military force occupying Afghanistan and adopted a plan dictated by the Pentagon to keep the remaining 10,000 troops in place, likely beyond the end of his presidency. The “idea,” i.e., the phony rhetoric of hope and change, has long since become a tired joke. As the pliant mouthpiece of the military and intelligence apparatus that dominates the American state, the US president has assured that “endless” and ever-expanding war is an undeniable reality. The immediate impetus for Obama’s scrapping of the planned reduction in troop strength in Afghanistan is of a piece with the motive for sending US troops back into Iraq: the spectacular collapse of puppet security forces trained and armed by the Pentagon at the cost, in the case of the Afghan forces, of $65 billion. The Iraqi security forces fled with virtually no resistance in the face of an offensive by a much smaller force, handing over Mosul, the country’s second largest city, to ISIS. A virtual carbon copy of this episode unfolded at the end of last month in Kunduz, the strategic center of Afghanistan’s northeast, when the Afghan army and police melted away in front of a force of several hundred Taliban fighters. In both cases, the puppet security forces left behind tons of US arms and military equipment. In both countries, well over a decade of war and the expenditure of trillions of dollars have produced only a debacle for US imperialism, together with death and destruction for millions of Iraqis and Afghans. For Afghans, this carnage goes back more than 35 years, to the CIA-instigated war to oust a pro-Soviet government in Kabul. Then, Washington employed the mujahedeen forces that would subsequently give rise to Al Qaeda as a proxy force. During the period since, an estimated two million Afghans have lost their lives, while millions more have been turned into refugees. The carnage has only escalated in the recent period, with the United Nations agency for Afghanistan reporting the highest casualty figures since it began counting. The number of civilians killed by the US-backed Afghan security forces in the first half of this year increased by 85 percent compared to the same period in 2014. Atrocities by both the Afghan forces and US warplanes and special forces units continue unabated and, for the most part, unreported. One incident that has come to world attention, the savage bombardment of the Doctors without Borders (MSF) hospital in Kunduz that killed 22 patients and medical personnel, has exposed the criminal character of the US war. The ever-shifting explanation given by the Pentagon for this war crime has been exposed by an AP report Thursday showing that the hospital was deliberately targeted in an apparent attempt to kill one man, an alleged Pakistani intelligence operative who was supposedly coordinating actions by the Taliban. To that end, an AC-130 flying gunship was sent to carry out five separate strafing runs at the well-marked hospital in the course of an hour, incinerating patients in their beds and blowing doctors and nurses to pieces. Obama’s justification for the continued US occupation of Afghanistan was riddled with outright lies and grotesque distortions. More than 14 years after the September 11 attacks, he continued selling it primarily as part of the “global war on terrorism” inaugurated by his predecessor as the pretext for the invasions of both Iraq and Afghanistan. “I will not allow Afghanistan to be used as a safe haven for terrorists to attack our nation again,” he said. In addition to the fact that there remain many unanswered questions about what happened on 9/11, the claim that the US is engaged in some global war on Al Qaeda terrorism is ludicrous given that the American military has used Al Qaeda-connected fighters as proxy ground forces in the US-backed wars for regime change in both Libya and Syria. The US president praised the Afghan government as a “stable and committed ally,” the product of “the first democratic transfer of power” in the country’s history. The reality is that the two-headed puppet regime of Ashraf Ghani and Abdullah Abdullah was imposed on the instructions of the White House and consists of a gang of war criminals and kleptocrats with no popular base and virtually no remit outside of the capital of Kabul. Obama asserted that “the majority of the Afghan people share our goals.” Where is the evidence? That a movement like the Taliban could grow as it has can only mean that there is no popular support for the US occupation. Meanwhile, millions are fleeing the country, with Afghans last year making up fully 44 percent of recorded undocumented migrants and refugees the world over. Fourteen years after the US invasion and a trillion dollars later, the living conditions of Afghans remain abysmal, with an estimated 60 percent of the active population unemployed and over 40 percent living in abject poverty. US imperialism’s predatory aims in Afghanistan remain today what they were 14 years ago: advancing the interests of the American ruling class by projecting US military power into the energy-rich Caspian Basin as well as against its principal global and regional rivals: Iran to the west, China to the east and Russia to the north. 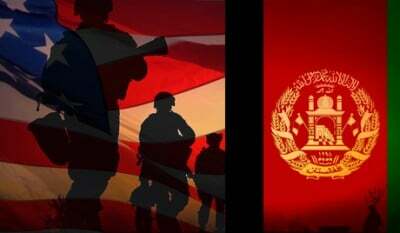 The reversal of the Afghanistan withdrawal plans coincides with an increasingly dangerous eruption of American militarism, with Washington mounting provocative threats against Russia and China, both of them nuclear-armed powers. Not only are the wars of American imperialism “endless,” they are expanding in scope, bringing the world to the brink of another global cataclysm.